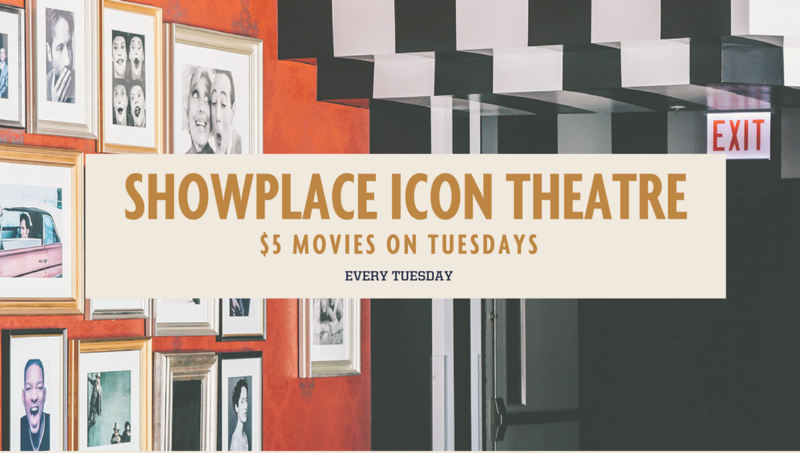 Make Tuesdays ICONIC with five dollar movies, all day, all shows, for all guests! Plus, Extras program members get free popcorn with each paid admission and free VIP upgrades every Tuesday! Please note: Real-D 3D and HFR-3D titles subject to premium experience surcharge. $5.00 price point does not include sales tax or any applicable fees from ticketing services. Must present your Extras card at point of purchase or be logged in online/in-app for member pricing. Special engagements, select presentations may be excluded. Please see Showplace ICON Theatre management for more details.